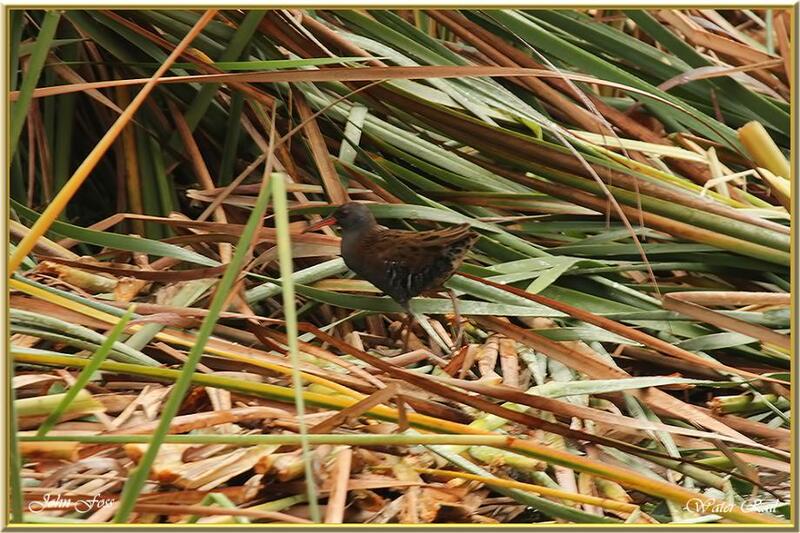 Water Rail - a very elusive bird of the rail family. Its laterally compressed body allows it to slip through the densest vegetation often unseen feeding on invertebrates and plant materials. This bird has always given me the merry run-around and I rarely come across it. The photograph is not the best in the world but here it stays until a better one comes along. Taken at Vilamoura reedbeds in Portugal.